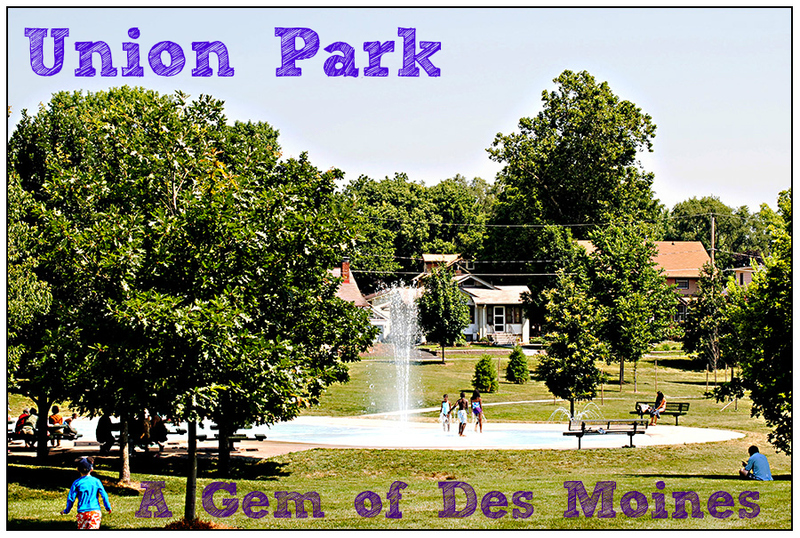 Des Moines’ Big Baby Shower + Model Roll Call! I am super excited! 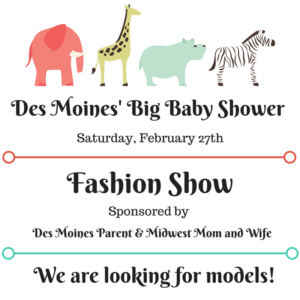 Des Moines Parent and Midwest Mom & Wife are going to be part of this years Des Moines’ Big Baby Shower! Have you heard about it yet?!? 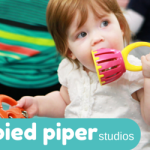 Expo filled with many retailers offering items and services for babies, moms, and toddlers. Healthcare professionals available for you to ask questions and receive knowledgable advice! 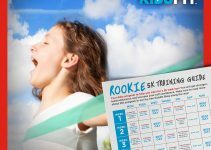 The Kids Zone will be available with activities available for all ages! Local mascots will be there! The Cutest Baby Contest! Bring your kiddos for a free mini session by My Only Sunshine Photography. After the event, you can vote for the Cutest Baby! Baby’s Room! A room will be set-up for you to walk around and see what YOU may want in your child’s room. Diaper Changing Station will be available. A whole area will be set-up including wipes, lotion & powder for you to tend to your baby. There will be educational seminars for you to learn about important topics. 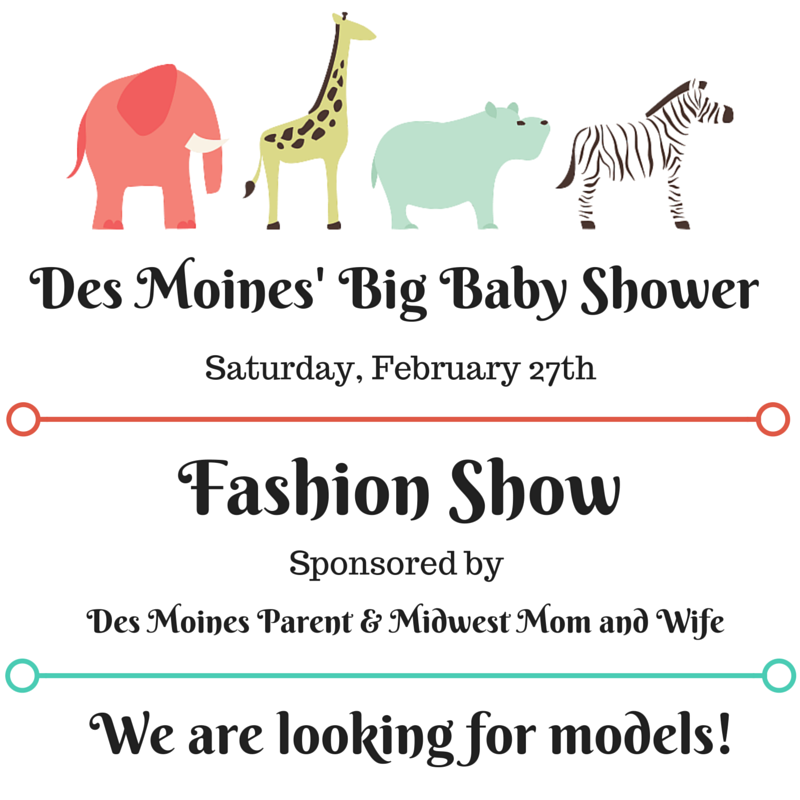 This year, Des Moines Parent and Midwest Mom & Wife will be sponsoring the fashion show! There will be clothing modeled from baby to toddler and even moms-to-be! We are looking for models every age AND mothers-to-be! It is going to be so much fun! Follow the link below and sign-up! On Wednesday, February 24th I will randomly choose models to be part of the fashion show! The fashion show will be held at 1 pm on Saturday, February 27th. Please enter in, only if you are able to commit. Models must arrive by noon. There will be no hair and make-up. It is a very laid back and fun show! Enter here for Mothers and Moms-to-Be! 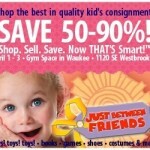 Just Between Friends: Kids Spring Consignment Event! 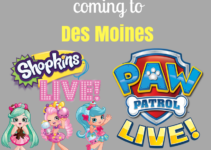 Coming to Des Moines: Shopkins + PAW Patrol LIVE! Thinking about putting my daughter in the modeling part but can’t find the link. Help please. Thanks! I am not sure. It is showing up on my end. It’s at the bottom of this blog post. Click on either the child model or for the mother model. Thanks!